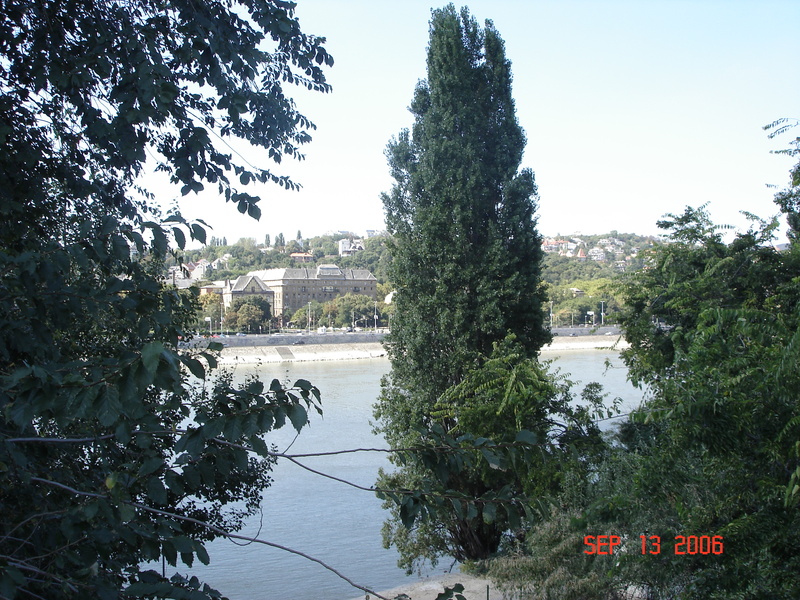 Pest, which lies on the east bank of the Danube, is flatter, bigger, busier and younger than Buda and Obuda. However, it is by no means less well endowed with majestic buildings, grand monuments, fascinating history and iconic characters than its west bank sisters. Following the final defeat of the Magyars in 955, Istvan I set up Hungary’s Royal Court in Pest. His Arpad Dynasty flourished here until 1242, when, after the Mongol attacks, Bela IV moved it to his hilltop castle in Buda. Life continued peacefully for Pest until it was razed by the Turks in the 14th century. The town was rebuilt from the ashes after Hungary was finally freed from the Turks by the Hapsburg commander Eugene of Savoy in 1686. So, even though Pest’s history as a Hungarian town is older than Buda’s or Obuda’s, its bricks and mortar are younger. Its oldest building is the former Péterffy Palace, now Százévres Restaurant, which was built in1708. With the formation of Budapest in 1873, came a frenzied building boom as the Dual Monarchy sought to create a city to rival Vienna, Paris and the other great cities of Europe. Pest, as the centre of government, administration and commerce for the new capital, benefited royally from the boom and its beautiful, coherent cityscape was born of this time. Flat, compact, logically laid out and liberally dotted with landmarks, as well as picturesque spots to pause and drink them all in, Pest is a wonderful place for walkers. A stroll around the boulevards uncovers one brilliant building after another. Each little side street opens onto a stunning square. Every square has at least one great monument with its own fascinating story. 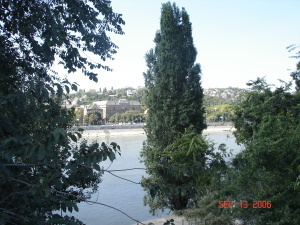 Just along the Danube from Buda, lies Obuda. The oldest and most culturally diverse of Budapest’s three townships, its history dates back to the Stone Age and its settlers range from Romans to Germans. The first settlement here, the town of Ak-Ink, meaning ample water, was apparently Celtic. By 89 AD it had become a military base for 6000 Roman soldiers. In 107AD the Roman Emperor Trajan established the civilian town of Acquincum, meaning abundant in water, as the capital of Pannonia. While Ak-Ink appears to have vanished with out trace, there is a great deal left of Acquincum. The ruins of a large public bath, the Thermae Maiores still lie under the flyover to the Arpad Bridge. Nearby is the huge 131 by 107 metre military amphitheatre which rivaled Rome’s Colisseum. Excavations during the 1950s and 60s uncovered the 2 room Roman Hercules Villa with mosaics depicting the Hercules myth and the Dionysus saga. The Acquincum Museum houses courtyards, baths, a marketplace, sarcophagi, sculptures, tools, jewels, glassware and wall-paintings. During the Middle Ages, after Bela IV had moved his court to the west bank of the Danube in the wake of the Mongol invasions, Obuda became the site of the Palace of the Hungarian Queens and a thriving community grew up around it. Little remains of the mediaeval town except for the old Convent on Kiskorona Utca. Most of it was swept away in the 15th century Turkish invasion or fell into decay during the occupation. The Turks, however, left not only their trademark Turkish Baths, but a legacy of Hunagrian rose gardens. The Kirraly Baths, at FoUtca, overlooking the Danube, were built in 1556. It is crowned by four green domes with the tallest topped by a golden crescent. Inside, four flights of steps lead up to an octagonal pool. 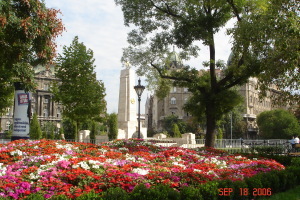 Near the Buda bridgehead, the Dervish, known as the “Father of Roses”, who introduced the flowers to Hungary, lies in his tomb, surrounded by a bed of roses. During the 17th century, after the Hapsburg conquest, an influx of German settlers restored life to Obuda and by the 18th century, it had become a thriving centre again. The buildings in picturesque Fo Ter date back to this time, like the Town Hall and baroque Zichy Castle, commissioned in the mid 18th century by Count Nicholas Zichy. Grand bourgeois mansions point to an affluent citizens and a luxurious lifestyle. Jewish settlers, banished from the royal lands of Buda and Pest moved into Obuda. They had been invited by Count Zichy to service the commercial interests of the community as moneylenders, merchants and traders. The splendid classical Jewish Synagogue was built at this time to serve their prosperous community.